Surrounded by shops and restaurants, Pension Alcazaba is located in the historical centre of Granada, a 20-minute walk from Alhambra. All the rooms are equipped with free WiFi and air conditioning. 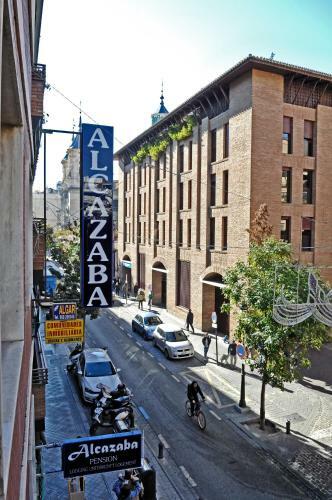 This hotel is 1813 metres from the Alhambra entrance, 755 metres from Plaza Nueva (the absolute centre of Granada), 822 metres from the train station and 2273 metres from the bus station.